Curry began making pottery at a young age, but only recently learned that he could in fact make a career in it. 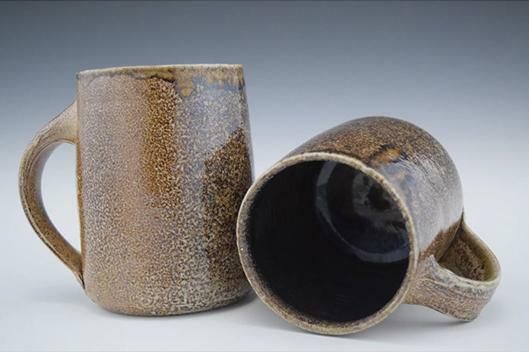 In 2014 he began an apprenticeship with Joseph Sand in Randleman, NC and worked there creating a solid foundation on which to continue his pottery career. For Curry, being able to turn the creamy, pliable clay, so abundant in his home state, into functional art is truly a privilege. Curry & his wife Sarah own and operate Curry Wilkinson Pottery; while Curry is in his workshop turning pots, Sarah is behind the screen working on the website, accounting, and design work. All work is for sale. Please contact us at 919-684-2007 if you are interested in purchasing a piece of work.